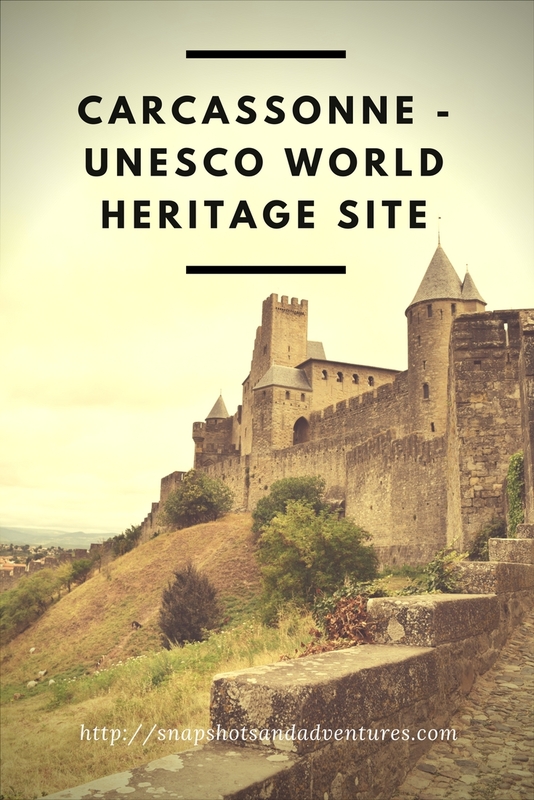 Whilst we were on holiday in France we decided to visit the UNESCO World Heritage Site of Carcassonne. Now I will fully admit that the only reason we went here is that Jesse is a board game geek. 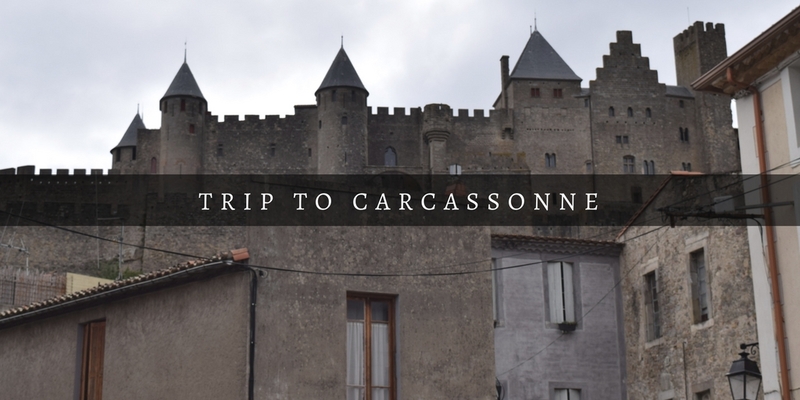 There is a game called Carcassonne, and after going in almost every shop, he actually managed to buy within the city walls. But it was actually really interesting to visit. 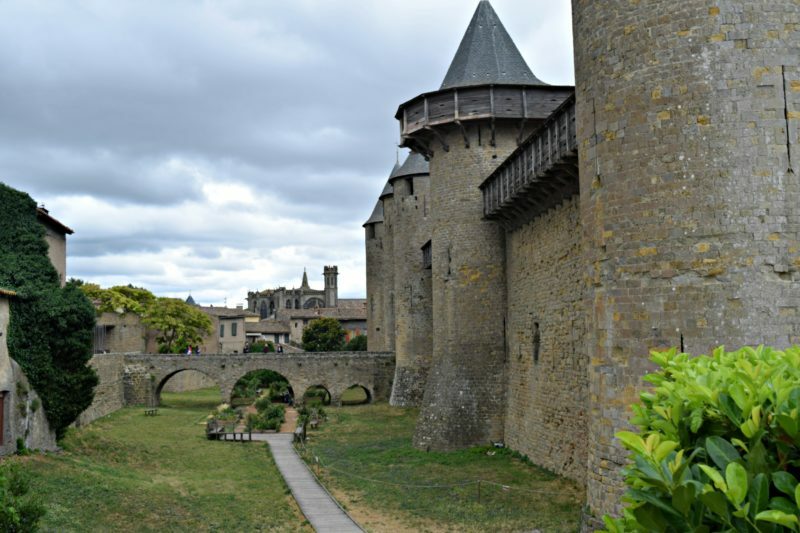 Built on a steep spur of rock, Carcassonne’s rampart-ringed fortress dates back over two millennia. The fortified town is encircled by two sets of battlements and 52 stone towers. These towers are topped by distinctive ‘witch’s hat’ roofs. A drawbridge can still be seen in the main gate of Porte Narbonnaise, which leads into the citadel’s interior. 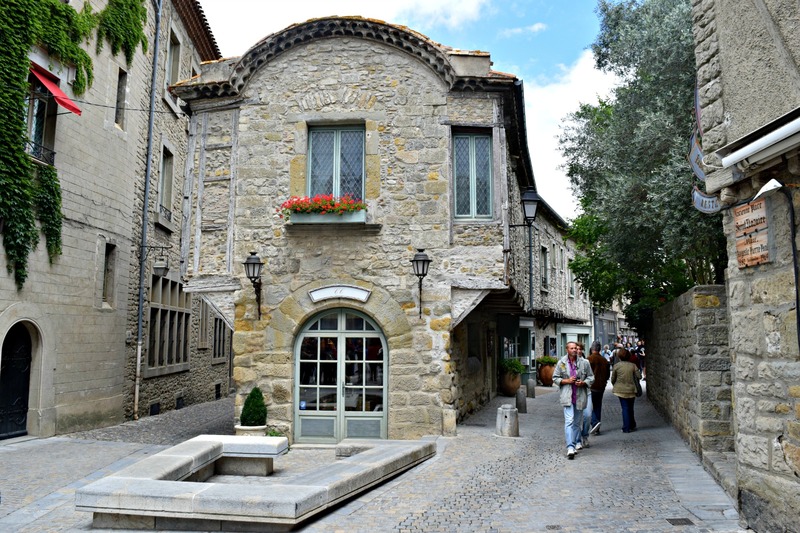 It’s a maze of cobbled lanes and courtyards, now mostly lined by shops and restaurants. 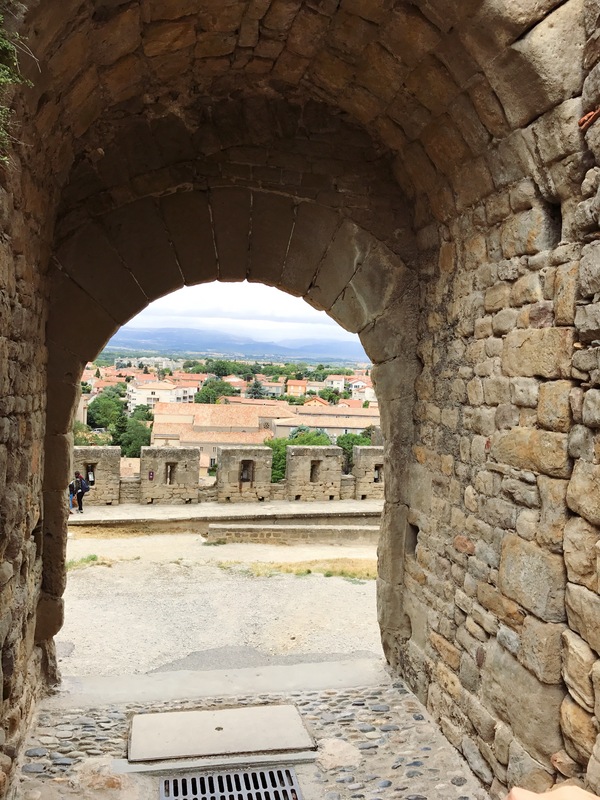 One of the first things that struck me was just how much the Cité de Carcassonne reminded me of Harry Potter. The castle was a lot like Hogwarts and the maze of cobbled narrow streets reminded me of Diagon Alley. 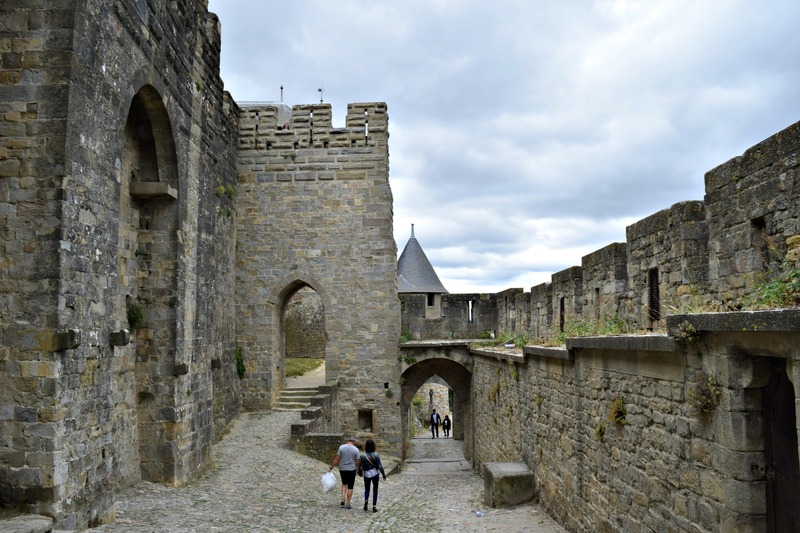 The hill on which La Cité stands has been fortified many times across the centuries – by Gauls, Romans, Visigoths, Moors, Franks and Cathars. Following the annexation of Roussillon by France in 1659, the castle’s usefulness as a frontier fortress declined. It slowly crumbled into disrepair. But it was saved from destruction by Viollet-le-Duc, who has left his mark on many of France’s medieval landmarks. These include Notre Dame in Paris and Vézelay in Burgundy. The castle is laid out in a concentric pattern, with the double wall and defensive towers designed to resist attack. The castle’s second gate, Porte d’Aude, was partly destroyed in 1816 and no longer has its drawbridge. In between the walls, an interior space known as Les Lices runs for just over 1km around the castle. Though designed as a defensive space to delay would-be attackers. During the medieval era, the city’s poorest residents would have built a shanty-town of houses and workshops here, which were cleared out during Viollet-le-Duc’s restorations. It’s now the best place to escape the crowds and properly appreciate the castle’s architecture. Cobbles and steep slopes mean it’s not exactly buggy friendly but Clem loved exploring all the different parts. We walked around most of it, including a visit to the Basilica of St-Nazaire. The basilica is an interesting mix of Roman and Gothic architecture. The stained glass windows are beautiful, especially the few original ones. I have a thing for churches. Despite not being religious at all I find them really beautiful places. 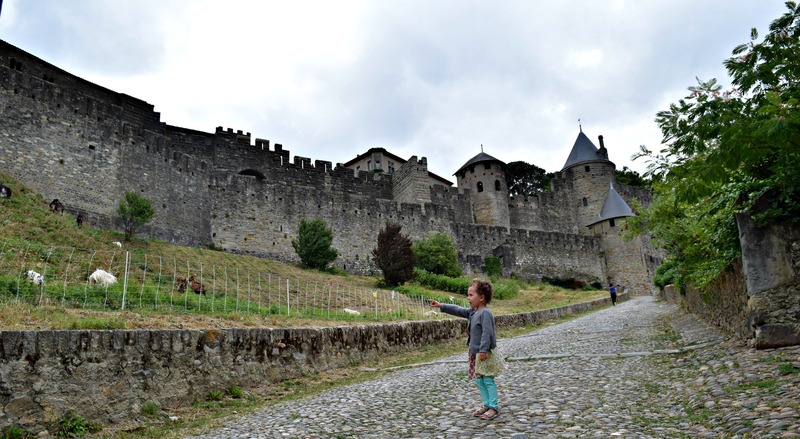 We loved Carcassone when we visited 2 years ago! So beautiful there. Oh my goodness I desperately want to go see that place for myself now after reading this post! What a fab piece of history! 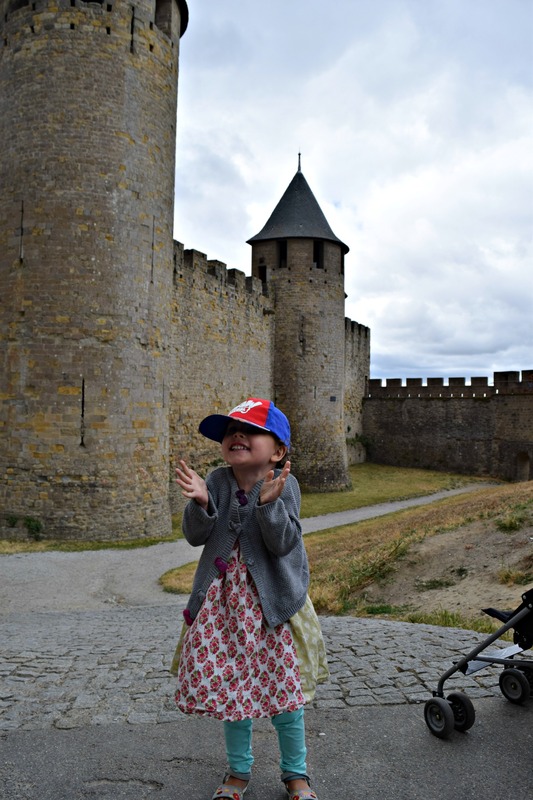 What a coincidence, I was in Carcassonne a few weeks ago with my little sister! We were blown away by how pretty it was, definitely going back one day! This could literally be Hogwarts!! How awesome for the Potter fans i.e. ME!!! It looks stunning there. I agree with you, it does look very Harry Potter like but you know what? Also reminds me a bit of Game Of Thrones ?